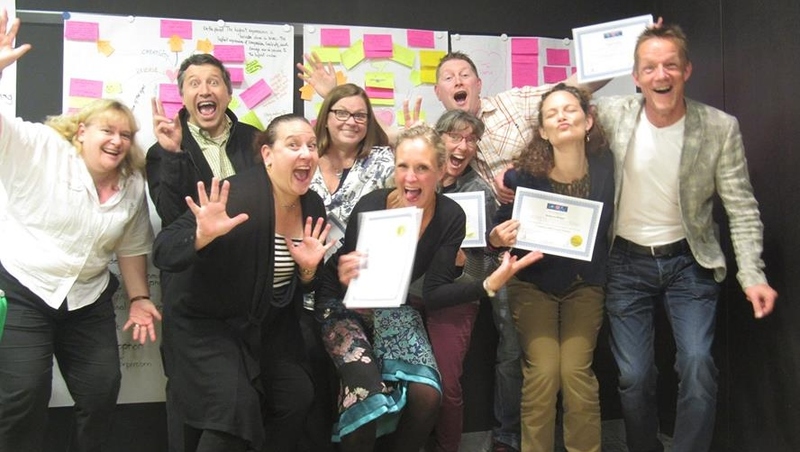 In this 6-day training you will learn how to teach the mBIT Coach certification and receive your Certification as an mBIT Coach Trainer from mBIT International Pty Ltd .
You will be provided with Training Frames and the freedom to adjust to your style. You will receive Design Logic – how to hold the information chunks. You will learn how to do front of the room Demo’s. You will be guided in learning the science behind mBIT and receive resources to help you become comfortable with this material. As a trainer/coach I feel I now have got excellent knowledge and skills to facilitate mBIT Coach Training and it has deepened my skills as an mBIT Coach. It was a “creme de la creme” training. You will be gaining a new leading edge training business and another revenue stream for your existing client base. Be in on the ground floor of the growing new field of mBIT and gain the market opportunities and relationships that open up from this. You will be building a close relationship with Grant, and Wilbert and mBIT International. 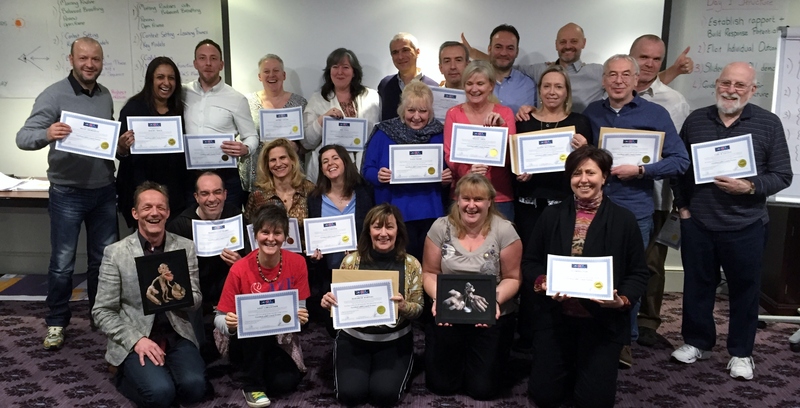 You are becoming part of the mBIT Trainers Community and gain the support of your fellow Trainers. Opening up the possibility of gaining work across various Industries that mBIT applies to such as Leadership, Spiritual Development, Coaching, Sports Development, Neuroscience etc. It’s important to realise that this is an exciting stage of development for mBIT as a field and that as an mBIT Trainer YOU will be making a huge difference in the evolution of people’s lives. mBIT International and Grant have a deep vested interest in building close relationships and supporting the first key groups of mBIT Certification Trainers to help them spread mBIT around the world. So now is a very special time to get onboard with mBIT and make your mark with this fast growing and exciting new field of Coaching, Leadership and Personal Evolution. Act now and become an integral part of the co-creation of the growing and developing field of mBIT around the world. As you know, mBIT brings together neuroscience with ancient wisdom and the power of NLP and Behavioral Modeling. By becoming an mBIT Trainer you will learn to train the multiple brains, unlocking the emergent wisdom of your clients and participants. By embracing this leading edge methodology you’ll position yourself as a trainer who leads generative change in the world. You will learn how to teach the mBIT Coach certification and be licensed to certify mBIT Coaches from mBIT International Pty Ltd.
You will be signing an mBIT International Licensing document which will be forwarded to those who make the commitment to attend. Each time you run an mBIT Coach Certification, there is a Participant Fee of AUD $ 50 (+ GST if appl.) per person to mBIT International Pty Ltd payable on Day 1 of your event; which includes a number of benefits and resources, including one mBraining book per person (see below for more details). This allows for last minute cancellations and any last minute enrolments. (The Participant Fee may increase over time). The mBIT Slides for Day 1 of the Training. Access to online videos of Marvin and Grant delivering Trainers Training to review as a resource. Handout Masters plus other information needed for an mBIT Coach Training e.g. Info pack for the manuals – welcome from Marvin & Grant; etc. The new mBIT Coaches will be invited by mBIT International to provide their contact details for the Coach Listing on the mBraining website. You will gain Resources as they arise and can utilize the mBraining website where there are constant updates, downloads, interviews. Grant also runs the mBraining facebook page for mBIT promotion. You will gain access to become trained and licensed in new mBIT Trainings as only Certified mBIT Trainers are able to take up the new training products developed by Grant, such as the mBraining Evolve programme and the mBIT Leadership Decision Making programme. Professional Trainers of all types. … anyone who needs to train others to produce results that can only be achieved when head, heart and gut are aligned! Become one of the leaders in this newly emerging and exciting field..
Massively boost your training effectiveness by learning to facilitate all three of your participant’s intelligences. Learn to tap into the power of your participant’s innate intuition and the wisdom of their heart and gut brains. Learn how mBIT can streamline your training processes to gain quicker, deeper and more generative results. Gain access to a professional network and collaborative community of ‘multiple brain trainers’ that are working together to bring evolutionary change to the world.